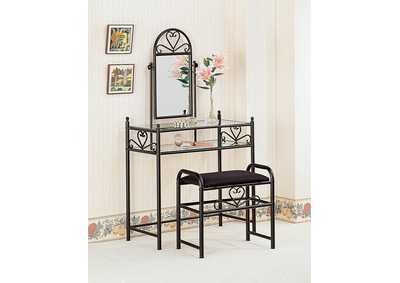 This adorable heart-shaped vanity set will fit snugly in any young adult's bedroom. 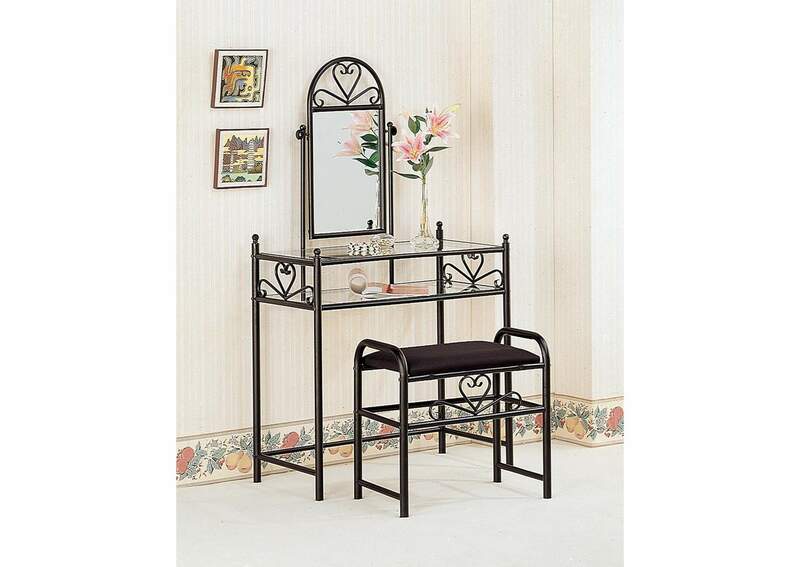 Designed with black metal piping and featuring two, clear glass shelves, this vanity also features a small rectangular mirror with rounded top. The set comes complete with a matching stool upholstered in black.